Damen Shipyards Group has announced the recent signing of a contract with Oslo, Norway-based SeaDream Yacht Club. The contract marks a historic moment, being Damen's first for a cruise ship. 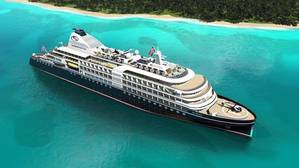 SeaDream will operate the 155-m Mega Yacht on luxury voyages all over the world.